The new trend for commenting on an article is thru video. video comments from seesmic is going good on different blogs and websites. People are adding those comments on wordpress blog to enhance the interaction with their viewers. 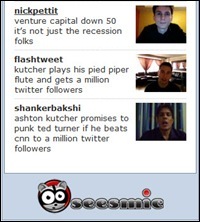 Seesmic started as a social networking site, same as twitter but the difference is the medium. Here you communicate with people thru a video rather than 140 character text. Now you can add seesmic comment section on your wordpress blog by using a WP-Plugin. WordPress Plugin for seesmic is very interesting, as you can see your viewer and start a long term relation thru video communication. 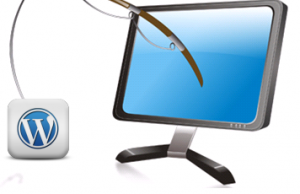 Download link for WordPress plugin for seesmic. I am planning to add this plug-in on Internet Techies very soon. Kindly revisit the blog to see what I did with Seesmic Comments.